Beautiful water Lilly (purple mix with Magenta. The color grows lighter to the top of the fan. 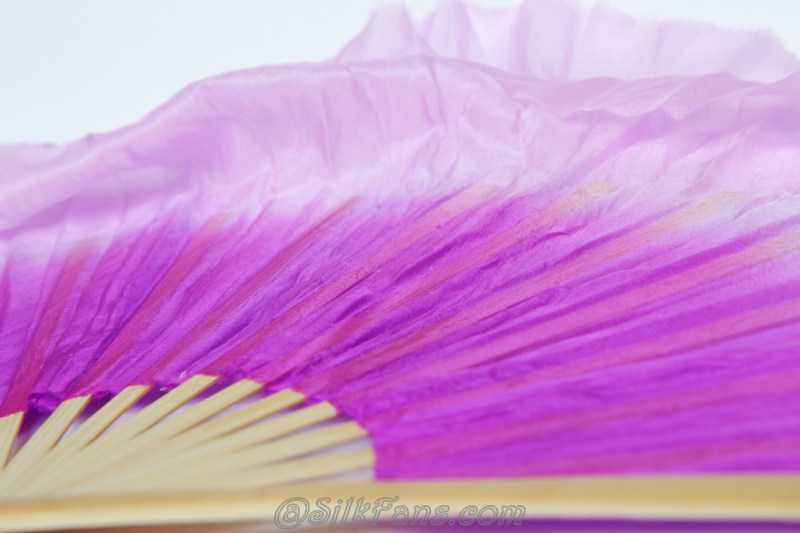 The silk top has pretty pale pink color) silk flutter fan with double side silk covered and super easy to open and close with one hand. 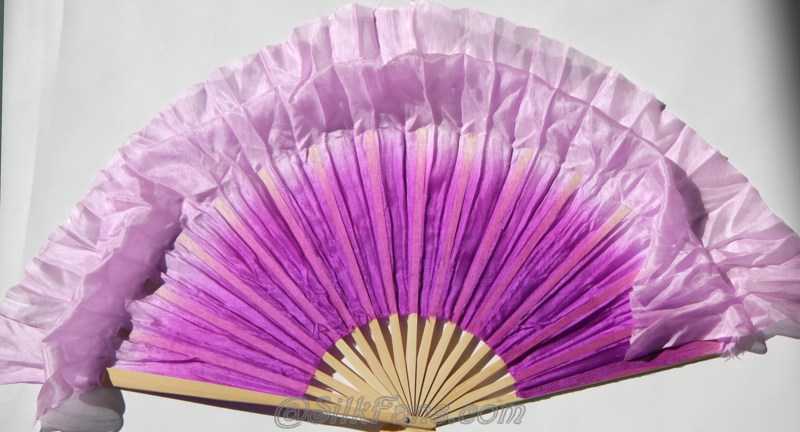 This fan is specially designed for dancing with high quality bamboo (very durable also easy to operate)and 100% rich purple silk which creates great flow and flutter. The end of the silk is not hemmed. The fan is 17" high and 31" width. 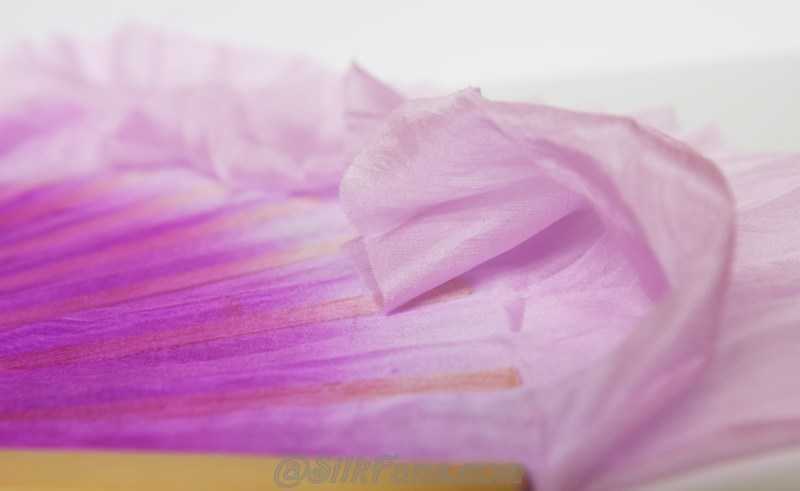 The silk top is about 4"- 5" longer than the bamboo which flutters when the fan moves. 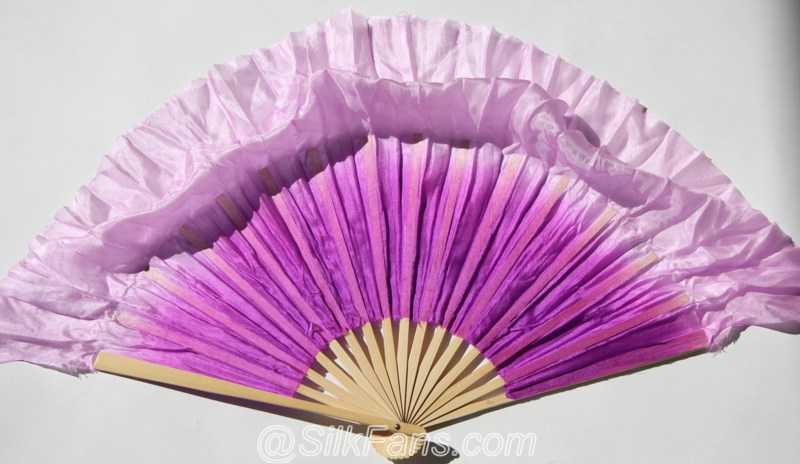 This is a great dance fan with high quality of bamboo and delicate silk, easy to operate with one hand, and stunning color for performances.